Fox enjoyed a heck of a good summer in 2005. They started with a sure thing: Revenge of the Sith, the final installment in the Star Wars series. Even though everyone knew Sith would do well, it still managed to exceed many expectations with a gross of $380 million. That fell short of the $431 million take of 1999’s Phantom Menace but it easily bettered 2002’s Attack of the Clones and its $310 million gross. Given all the animosity engendered by Menace and Clones, Sith’s earnings proved pretty remarkable. From there Fox continued to chug along through the summer. In June, Mr. And Mrs. Smith capitalized on the heat surrounding stars Angelina Jolie and Brad Pitt on its way to a sizable $186 million take. A few weeks later, Fantastic Four came along and raked in $154 million on its own. It capped a positive summer for the studio. Too bad Four was easily the worst of the three movies. I love good comic book flicks and looked forward to this one. Unfortunately, Four in no way resembled a good comic book flick. Brilliant scientist Reed Richards (Ioan Gruffudd) needs financing for an ambitious project to study the effects of cosmic rays. When he can’t get the bucks anywhere else, he goes hat in hand to the door of his old college rival, billionaire Victor Von Doom (Julian McMahon). This becomes doubly humiliating when we meet Victor’s head of genetic research: Reed’s old love Sue Storm (Jessica Alba). As for our actors, only Evans and Chiklis make an impression. Alba certainly looks great, but she clearly lacks the presence and weight to make us accept her as a genetic researcher. It doesn’t help that at 24, she’s way too young for the role; at that age, she should be in the middle of grad school, not leading the way in her field. At least Evans fills out the role of cocky hotshot Johnny. He provides some of the movie’s few amusing moments with his arrogance and brashness, and he and Chiklis also demonstrate a nice chemistry. Chiklis is able to bring some humanity to his role, no mean feat given that he must do so through a thick layer of latex. Fantastic Four appears in an aspect ratio of approximately 2.35:1 on this Blu-ray Disc. One of the earliest Blu-rays, the image still looked okay but it showed its age at times. Sharpness tended to be a little spotty. Though most of the movie displayed pretty good delineation, more than a little softness popped up at times, and the overall impression was only fair; there was just a general lack of clarity on display more often than I’d like. I noticed no shimmer or jaggies, but some light edge haloes appeared, and the movie had a somewhat distracting “digital” look; I saw more video noise than I’d expect from the format. Print flaws remained absent, at least. Usually a film of this sort would go with basic “comic book” colors or hyper-stylized hues. Surprisingly, Four chose a somewhat golden, subdued palette. These were generally positive, though the video noise dulled them some. Blacks appeared dark and firm, while low-light shots offered good definition and vividness. This was a consistently watchable image but not one that impressed. I felt more pleased with the film’s DTS-HD MA 5.1 soundtrack, as it provided a very good auditory experience. A big comic book film with a big comic book soundfield, the tracks opened up the imagery well. The variety of action sequences really kicked the elements into high gear. The mix first established its identity during the space sequences, and then all the fights and similar pieces functioned just as well. The track used all five channels in an effective and convincing manner. Happily, audio quality also seemed very good. Effects pounded us with aggressive but accurate sounds. Those elements were always loud and detailed, and they also presented strong bass response. Music got a little buried in the mixes, but the score still came across as bright and dynamic. Speech was consistently natural and crisp, and I noticed no edginess or issues with intelligibility. All told, Four presented terrific audio. 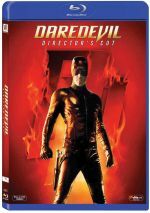 How did the Blu-Ray compare to the original 2005 DVD ? Audio was a little peppier and more dynamic, while visuals showed superior clarity and accuracy. Although the image disappointed me, it worked better than the DVD – it just wasn’t the gigantic improvement I’d expect. Unfortunately, the Blu-ray eliminates many of the DVD’s extras. We do still find an audio commentary from actors Jessica Alba, Michael Chiklis and Ioan Gruffudd. All three sit together for this running, screen-specific chat. Based on prior actor commentaries, I went into this one with low expectations. Happily, it turned out to be a pretty enjoyable discussion. In addition to the theatrical trailer for Four, we get promos for Behind Enemy Lines, Ice Age, The League of Extraordinary Gentlemen, Planet of the Apes (2001) and Speed. 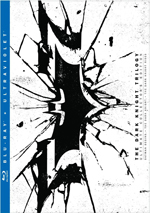 The Blu-ray eliminates deleted scenes, some featurettes and music videos. Surprisingly, Fox has yet to release the 2007 extended cut on Blu-ray, so we can’t see the longer – and slightly superior - version of the movie or watch that release’s surfeit of extras. 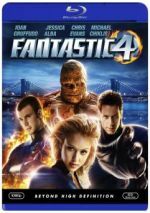 Given my affection for Marvel superheroes, I view 2005’s Fantasic Four as a big disappointment. A dull, thin dud, the film lacks spark or excitement. The Blu-ray presents excellent audio and a good audio commentary but picture quality seems mediocre. Maybe someday Fox will produce a superior Blu-ray, but this one’s not particularly strong.